During your tenure at VMI you will be asked to write a LOT of papers for a wide variety of subjects: English, math, history, science lab reports, business, resume or cover letter writing, etc. The good news is you don’t have to face these assignments alone. The friendly tutors at the writing center are here to help. Sign up for a half hour slot with one of our tutors here. If you’ve never visited the writing center, you’ll need to sign up for an account using your VMI email address. The writing center is located in Carroll Hall 215. Our hours are M-TH 0800 – 1600; 1930-2230 F 0800-1200 Sunday 1500-2200. Come to your appointment having done the reading for class. It’s difficult to help someone if they don’t know the course material. Bring two copies of your paper (if you have anything written down – it’s ok if you don’t!) and also bring a copy of your assignment sheet from the professor. We see writers at any and all stages of writing. You can come see a tutor if you have a blank page or a final draft. We’re here for you! 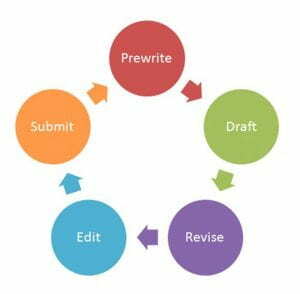 Have a writing goal in mind when you come to the writing center. 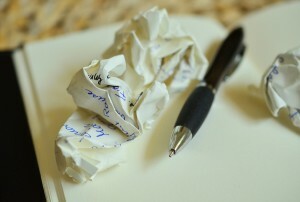 If you haven’t yet started writing, pick a topic and a claim that calls to you. If you’ve started writing, but become stuck, come with specific questions you need to answer to continue addressing the writing assignment. If you are in the deepest throws of writer’s block, we can help with that, too! Sometimes having a conversation with a professional writer can help break through the writer’s block and get you back on track. Can you proofread my paper? While writing tutors can help point out common mistakes you’re making in your paper (comma splices, verb/tense agreement, passive voice, etc. ), we can’t take a pen and edit your paper for you. We are happy to point out the mistakes that are popping up in your paper, show you how to fix a few examples, and coach you through identifying and fixing a few on your own. What can a writing tutor do? Have you been staring at a blank piece of paper for the last 20 minutes? A tutor can help with that. Do you have a draft, but you’re not sure if the paper “flows”? A tutor can help with that! (When someone asks if a paper “flows” they often mean anything from organization to sentence-level revision.) Are you unsure whether or not your paper has a thesis that is supported by evidence in the paper? A tutor can help with that. Do you want to discuss whether or not your paper answers the prompt you were given by your professor? A tutor can help with that. To begin your 1/2 hour consultation, your writing tutor will likely ask you to explain your assignment to them. This is why it is helpful to have the assignment sheet with you during your appointment. Your tutor can’t point you in the right direction if you aren’t sure what that direction is. After that, your tutor may ask what specific areas of concern you have with your paper. Next, your tutor will ask you to begin reading your paper out loud to them. They will likely stop you to ask clarifying questions or make comments as you read. Together you will discuss how to best address areas of weakness and strengthen your paper.